JR is a global artist who places compelling large-format portraits of city-dwellers with enthralling facial expressions around the world according to different urban landscape, initiating the public to explore and share the untold stories and images of people in their communities, as well as bringing out current social and human conditions inherent to the urban context. “INSIDE OUT” is a global art project in which over 100,000 posters have been sent to more than 108 countries since March 2011. 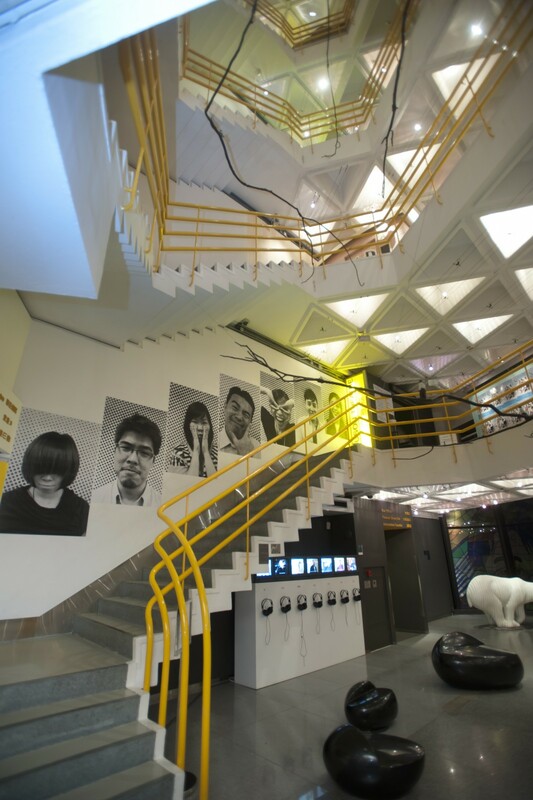 JR exclusively presented here the giant portraits of 7 Hong Kong Arts Centre’s members of staff.